When an HVAC system is properly designed and subject to an adequate maintenance program, it improves indoor air quality and provides comfort for occupants. However, HVAC systems can also harm air quality if poorly designed or when maintenance is lacking. Spreading dust, bacteria, allergens or other harmful substances. Heating or cooling the air excessively. When air is blown at excessive speeds, it can also cause thermal discomfort. Inadequate air humidity: Air that is too moist or too dry normally causes discomfort, and potentially health issues. Moisture can also lead to mold growth. This article will provide an overview of some signs that the HVAC system in your building may be causing indoor air quality issues. Air conditioning systems have two main purposes: cooling the air and keeping humidity at a level that is comfortable for humans. However, many AC systems are controlled based on temperature only; when the unit is oversized, the desired temperature is reached very quickly, but there is not enough time for humidity to be removed effectively. The combination of low temperature and high humidity can be uncomfortable for occupants, negatively affecting productivity in the case of commercial buildings, and may even lead to health issues. This is another factor that may cause discomfort, and it affects both air conditioning and heating systems, especially when they are oversized. Ideally, there should be no drastic shifts in temperature, but it can occur when heating and cooling equipment is specified larger than required. There may be cases where oversized heating and cooling equipment saves energy by operating for shorter periods. However, oversizing also results in fluctuating temperatures, drafty indoor environments and poor humidity control. All these effects can be detrimental for comfort and health, potentially reducing productivity in office buildings. Thermal sensation is influenced not only by temperature, but also by humidity and airspeed. This means that air moving too fast can be just as uncomfortable as excessively cold air. Drafty indoor environments are typically the result of oversized fans or excessive air duct pressure. Variable frequency drives (VFDs) are electronic devices that can ramp down the speed of fans and other motor-driven devices when their full output is not required. 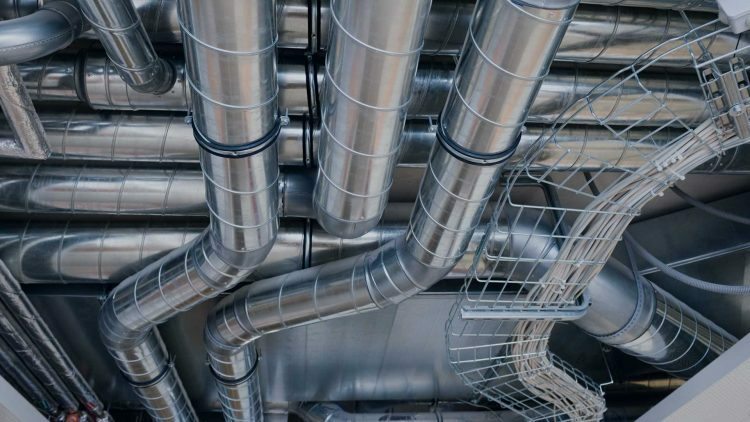 The use of VFDs in ventilation systems allows a greater control of airflow, while providing considerable savings – excessive air pressure and speed both represent a waste of energy. There is source of unpleasant odors within the ducts. There are many possibilities in this case. For example, moisture accumulation inside an air-handling unit may lead to mold growth. Also, when ducts are not properly sealed, there is also the chance that a small animal might have entered and died inside. Odors are being drawn from outside the HVAC system. This may be caused by leaky ducts, or due to deficient connections between ducts and HVAC equipment. Odors come from other building areas. If this is the case, it means the ventilation systems is not supplying fresh air effectively. This can be caused by a poor balance between injection and extraction fans, or by obstructed ducts. Ideally, the airflow injected into a room should be slightly higher than the airflow extracted, to maintain a higher pressure than the surroundings and to keep odors and contaminants out; when the air extracted is more than the air injected, the result is a negative pressure that draws unwanted air in. Regardless of the specific scenario, unpleasant odors indicate that the HVAC installation needs inspection, especially the ventilation equipment. Sick Building Syndrome (SBS) is a term to describe a situation where building occupants experience health issues in direct proportion to the time spent indoors. SBS does not refer to specific diseases, but rather to poor health conditions in general among occupants, including allergies and headaches. SBS sin influenced by a broad range of conditions that includes humidity, the presence of harmful substances or bacteria, lack of fresh air and inadequate temperatures. However, poor HVAC operation tends to be a common denominator. When companies seek to improve the performance of their HVAC systems, they tend to focus on energy efficiency and automation measures. However, indoor air quality is just as important, if not more, since it has a direct effect on productivity, comfort and occupant health. The performance of HVAC systems is strongly determined during the design phase, since many air quality issues can be attributed to oversized installations and other specification errors. Once the building is in operation, having an adequate maintenance program is also vital for ensuring indoor air quality. How do you spot air quality problems when you land on a client’s place (home or office)? Let me know in the comments below!